Just some of the many variations of games produced. 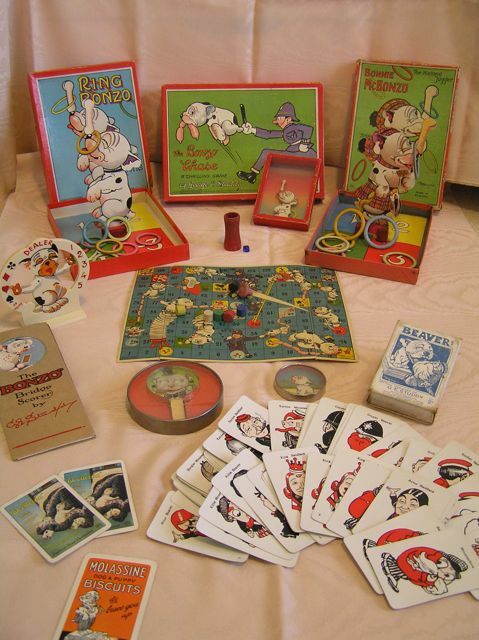 The Spears Company produced several board or dexterity games. 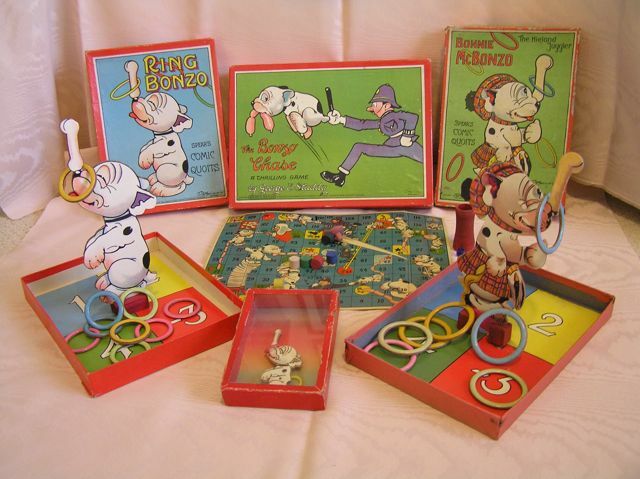 The Bonzo Chase game was based on the traditional Snakes & Ladders game. 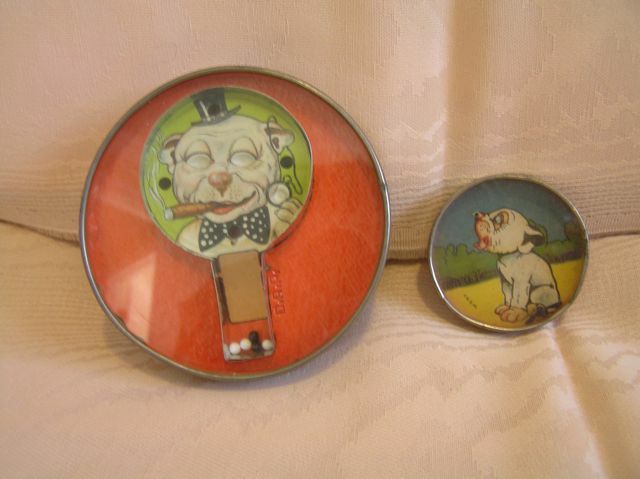 Several Comic Quoits games were made, including the smaller, sealed box which required the player to shake the rings over the bone balanced on Bonzo's nose. These two dexterity puzzles are German made. A smaller version of the one on the left also exists, with just the Bonzo head & shoulders part. 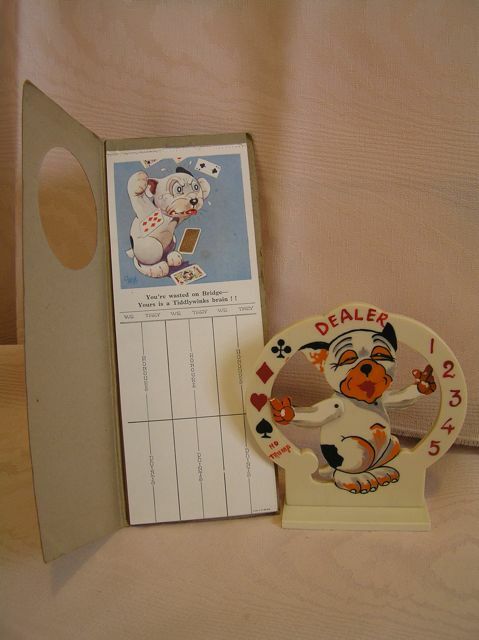 The Bonzo Bridge Scorer pad, made by Valentine & Son, plus the Bridge Trump indicator. There was also a series of jigsaw puzzles made by A.V.N. 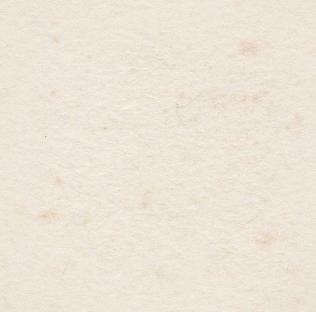 Jones & Co.